Age, employment, and education are significant differentiators in women’s retirement wants and needs. Boston, May 31, 2018 – Women investors have often been ignored and their concerns minimized by the predominantly male wealth management advisor force—often even when they are the main decision-makers on investment portfolios. Will assets increase for advisors, robo-advisors, and wealth managers willing to tailor their offerings to address women’s investment objectives and concerns? 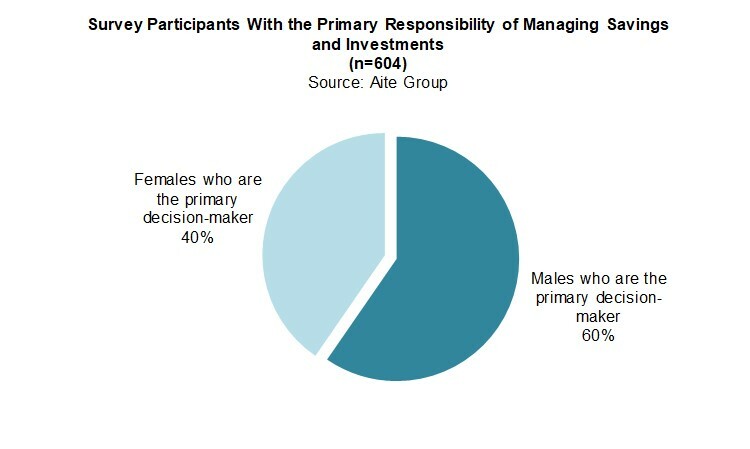 This report focuses on the specific attitudes to advisors and products of female versus male investors in the U.S. It is based on a Q3 2017 online Aite Group survey of 1,001 U.S.-based investors between the ages of 55 and 75 with at least US$100,000 in investable assets. This 38-page Impact Report contains 36 figures. Clients of Aite Group’s Wealth Management service can download this report, the corresponding charts, and the Executive Impact Deck.